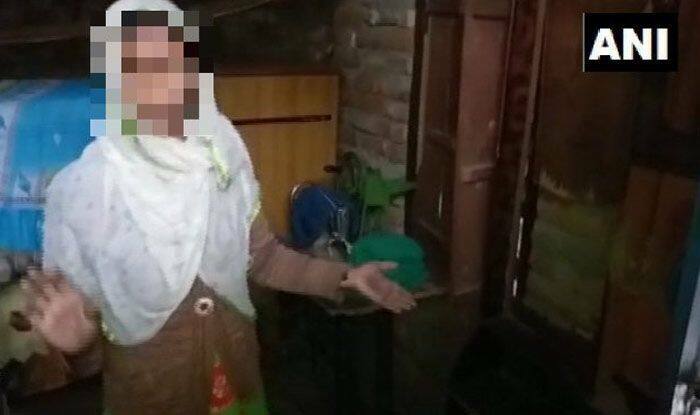 Bulandshahr: The wife of Prashant Natt – the prime accused in the killing of an inspector during the December mob violence in Uttar Pradesh’s Bulandshahr district – on Monday refuted the police’s claim of recovering the slain cop’s mobile phone from the former’s residence, while alleging foul play. She alleged that the mobile phone of deceased Inspector Subodh Kumar Singh, seized from their home on Saturday, was planted there by the police team itself, which had come to search the place. “Police came to us saying they have a search warrant. They asked which room is Prashant’s. Two cops went in and kept a phone on the dressing table there. When we said it isn’t ours, they told us to shut up. Police had brought the phone along with themselves,” she alleged. “We had got information from sources that inspector Subodh Kumar’s mobile phone could be kept hidden at Natt’s house and we procured a search warrant from the court to check his place,” Additional Superintendent of Police, City, Atul Kumar Shrivastava, said. “The CUG mobile phone of the inspector was recovered from Natt’s house during the search. Some other phones were also found and all the phones have been sent to a forensic lab for finding more details like their call records,” he told reporters. However, the pistol that was used to open fire on the inspector is still missing, and the ASP said a search is on for it. Natt, 26, a resident of Chingrawathi village, would work part-time as a driver in Delhi and nearby areas, and other times worked locally as a labourer, according to the police. During the violence, a 20-year-old Chingrawathi resident Sumit Kumar was also killed of gunshot. An FIR was lodged at the Siyana police station against at least 80 people for murder, attempt to murder, rioting, sedition, damaging public property, among other charges.Twenty-seven were named. “So far, 38 accused have been arrested in connection with the violence case,” Siyana Circle Officer Raghvendra Mishra told PTI on Sunday. Those arrested include Bajrang Dal’s Bulandshahr unit convenor Yogesh Raj, Bharatiya Janata Yuva Morcha’s Siyana unit head Shikhar Agarwal, Army jawan Jeetender Malik, and Kalua, who first attacked the inspector, surrounded by five to six men.